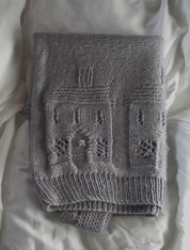 My initiation into the world of circular jumpers (and indeed jumpers in general) came with Stephanie Japel’s ‘Angelica‘. 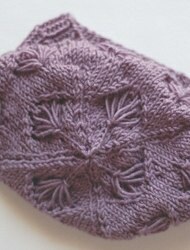 I fell in love with it the moment I saw the photo, and stalked Stephanie’s blog until she put the pattern up. 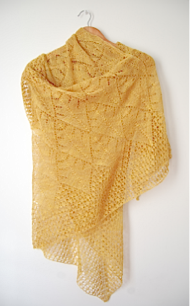 It took me 3 days to knit (I was procrastinating an English essay), and I was utterly fascinated by the process. 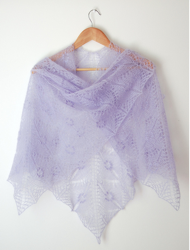 Angelica is knit top-down, in the round, with yo raglan increases and a beautiful, highly unusual neckline. I’ve knit quite a few top-down jumpers and cardigans since then, and it’s definitely become my method of choice, but this is the first time I’ve tried to knit a bottom-up jumper. The main reason I decided to try it was that I couldn’t decide what I wanted to do with the neckline of this jumper. Boatneck? V-Neck? 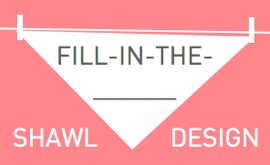 Cowl neck? I was leaning towards the cowl neck, but then I wasn’t sure how much yarn I’d have left to play with. It turned out I had plenty. The yarn is Himalaya Padişah (talk about an incongruous name) which is a Turkish yarn. It’s a 70/30 acrylic/wool blend that’s actually quite nice; fuzzy, but with a sheen, loosely spun and about aran weight. The colours cycle smoothly through blues, purples and bluey greens, creating subtle stripes. My Mum gave me this yarn (she’s more into cotton & linen), which makes it even more special. I ended up knitting the body three times. The first time there was too little ease, the second time, too much, and finally on the third go I got it right. It just goes to show that you can do the maths and estimations, but you still can’t be sure until you try it out. I decided not to bother with waist-shaping, but I did work a few decreases after the ribbing to prevent the stocking stitch from sagging outwards, as it tends to do, just in the right place to make you look like you’ve got a spare tyre. I was quite excited by the possibility of raglan decreases instead of increases, and I nicked a trick from Véronik Avery’s ‘Offset Raglan‘ in Simple Style (which I reviewed here): left and right-slanting double decreases divided by two purl stitches. 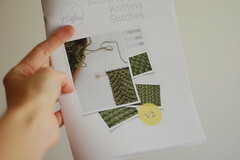 The book doesn’t seem to specify which decreases to use, and I found that a k3tog wasn’t a very good match for the sl1 k2tog psso, so I substituted a double decrease that Mary Thomas mentions in her Knitting Book: sl1, k1, psso, return st to left needle, pass 2nd st on left needle over 1st st. This creates a more clearly-defined right slant, rather than the bunchy-looking k3tog. I continued the four pairs of purl stitches up the cowl neck, which is almost as long as the body when unfolded. 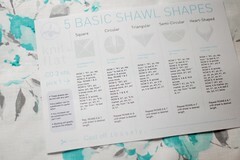 It can be worn unfolded, or folded in half with the right side facing, or rolled down to show the reverse. I think it works really well & it’s just loose enough to keep you warm without choking you. One of the biggest drawbacks of bottom-up jumpers as opposed to top-down ones, is the need for underarms seams. Seams? 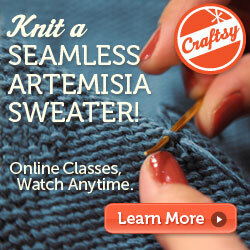 On a seamless sweater? It’s a bit difficult to visualise why this is the case, but basically, when you go to join the sleeves, the long circular needles you’re using for the body can’t bend around to accomodate the narrower sleeves. 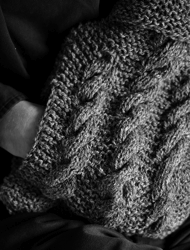 The solution is to put aside (or bind off) a certain number of stitches from both the body and the sleeves, and join them up later on, by grafting, seaming or a three-needle bind-off. Definitely a bit of a drag. I opted to graft mine, which left two circular holes on either side. These I closed up by threading the yarn around the hole, like the top of a hat, and pulling tight. 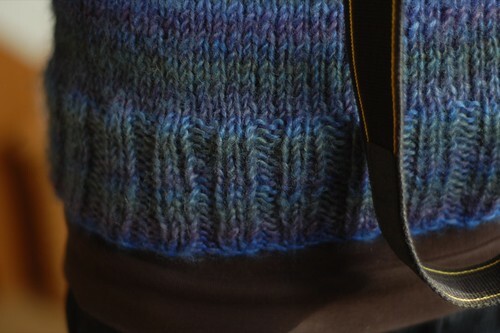 I love this jumper, and bottom-up construction definitely has its place, but top-down is still my favourite. Here’s a run-down of the pros & cons of each approach. Let me know in the comments if you can think of others! 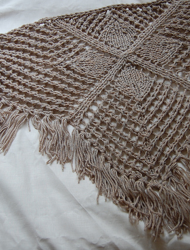 The chance to use some decorative decreases for the yoke. 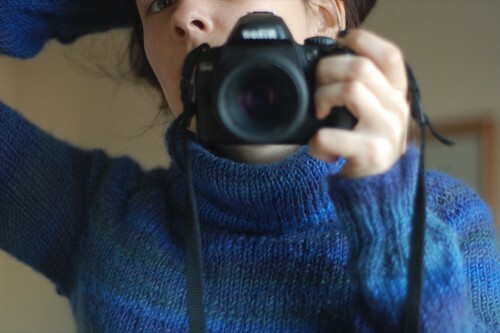 The chance to defer the decision of what to do with the yoke/neckline until you have a better idea what the jumper will look like as a whole. Underarm seams! On a “seamless” pullover. Tch tch! 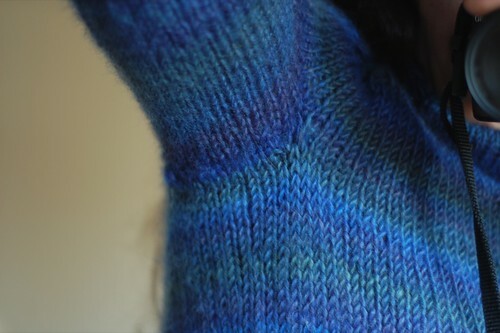 The need for an extra set of circs to join the sleeves onto the body (though their size doesn’t really matter). 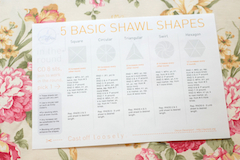 More difficult than top-down to adjust length. Lots of balls of yarn/ends dangling about after you join the sleeves. 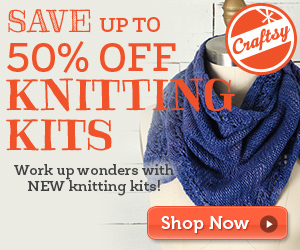 It’s easier to make adjustments depending on how much yarn you have left. Shorter sleeves, shorter body, etc. This is one of my favourite things about top-down jumpers. It’s easier to try on as you go along, and get a good idea of fit. The chance to use decorative increases (hello yo!). Can be accomplished with one pair of circs. As long as you’re happy magic looping. 31st January, 2010 // Knitwear Design, Technique // tags: bottom-up, circular knitting, garment construction, jumper, pullover, seamless, sweater, top-down. The problem I have with top-down seamless sweaters is all psychological: I really hate knitting sleeves, and the miles and miles of stockinette for a plain sweater. I find that the only way I can get through it is having the exciting yoke and neckline stuff to look forward to. 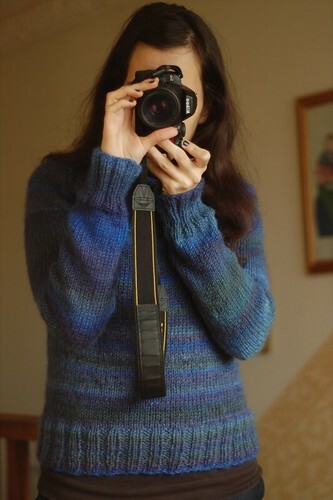 I have abandoned so many top-down sweaters once the yoke division was complete…it’s quite tragic. 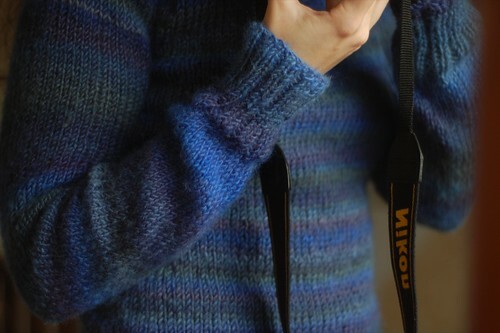 This is a lovely sweater – what a great colourway! So vibrant. It’s a very handsome sweater! You might like the trick of skipping the ribbed hem and beginning at the stockinet portion with a provisional cast on so that you can come back at the end and knit down to the wanted length — useful if you think you might run short of yarn, or if you just have my habit of underestimating the length of your torso. If the sweater is in stocking stitch, you can knit the body bottom up and the sleeves top-down. I tried it on a sweater for my husband and you can’t see the join; also no grafting at the underarms! I’m currently doing the top-down Francis Revisited sweater and rather enjoying it, although not too sure about sizing. Your jumper is lovely and appears to fit so very well. Your diligence certainly paid off! I’ve just recently discovered S. Japel and all of her wonderful looking top down patterns. I have Angelica in my queue and can’t wait to start it. Thanks for the tips on fit as I’m not a very experienced knitter and still learning something with every new project. I have to admit I like bottom up better because the sleeves are knit separately then attached. 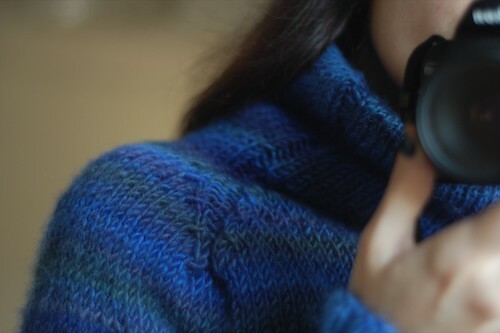 I hate turning an entire sweater as I knit on the sleeves! I’ve knitted most things in the round for the last 40 years, except for intarsia garments where you need to knit to and fro. They were all made from the bottom up on circular and double-point needles, no seams anywhere. I’ve recently tried some top-down designs, some are OK but some lack suffient neck shaping. I’m working on my own designs to correct that. Top-down knitting is just common sense really, you can figure it out by looking at a sweater upside down. Can’t think why I didn’t try it long ago. Hello there,was reading your notes re bottom up (blue) jumper. On your yoke can you tell me why you worked DOUBLE decreases either side of the 2 purl sts(which is a nice seam effect) and not the normal decreases either side of ‘seam’ followed by one round without decreases. I have taken over a friends abandoned project to finish. Normally I make top down for myself although in past made bottom up jumpers. Thanks for your help. You are inspirational. Kind regards Anne. I think I must have worked 2 double decreases every 4 rounds, which is the same ratio as 2 single decreases every other round. So you can certainly work it the way you described; the double decreases are really just decorative, and a little different from the usual raglan decreases. Hi! What a beautiful sweater! Do you recall which cast on method you used to make sure the bottom was stretchy enough to go on easily? I just started a bottom-up pullover and used the Chinese Waitress cast on. It looks good (sturdy and symmetrical on both sides), but I’m concerned it might not be stretchy enough for a pullover. Thanks for any suggestions!